We offer our classic Lincoln Town Cars for sedan service. DVD, rear a/c controls, rear stereo controls. 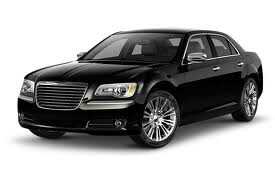 We offer our Chrysler 300 for sedan service. Complete with XM radio. 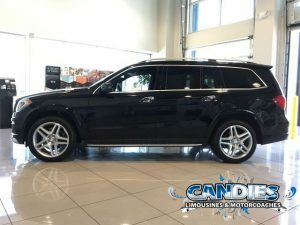 Mercedes Benz GL 550 SUV. Seating capacity of 6 passengers with 3rd row seating. Large cargo area for luggage. When you need a little more room than a sedan this Benz is perfect for you. Rolls Royce sedan with rear reverse opening doors. Perfect for your wedding or photo op with luxury & style. 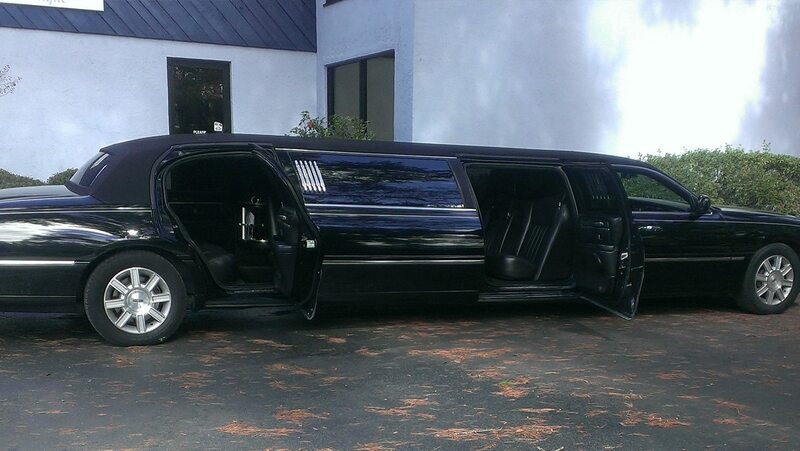 Exceptional black on black 8 passenger 5 door Lincoln Town car Limousines. Designed with the traditional look along with comport, style and safety in mind. 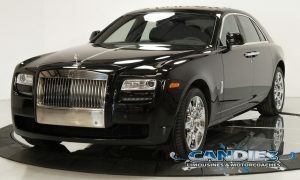 For the style and comfort of a limousine with the room for 14 passengers plus space for luggage. 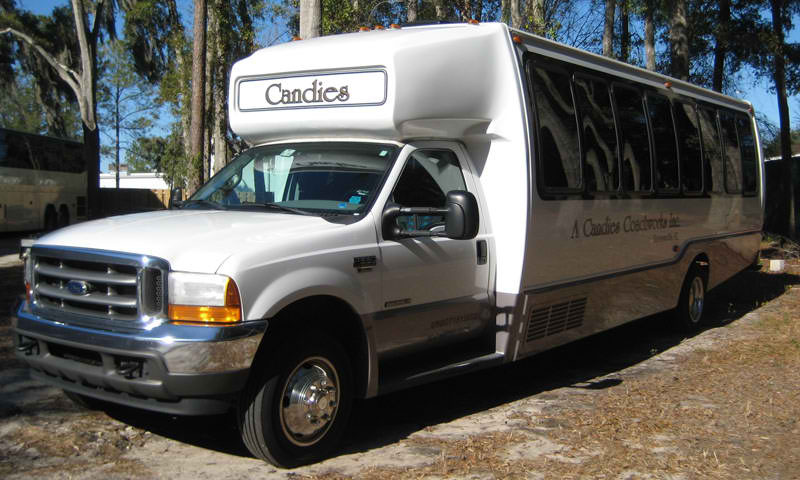 Our Limo Bus is great for group transportation in style. Great for weddings, bachelor and bachelorette events. 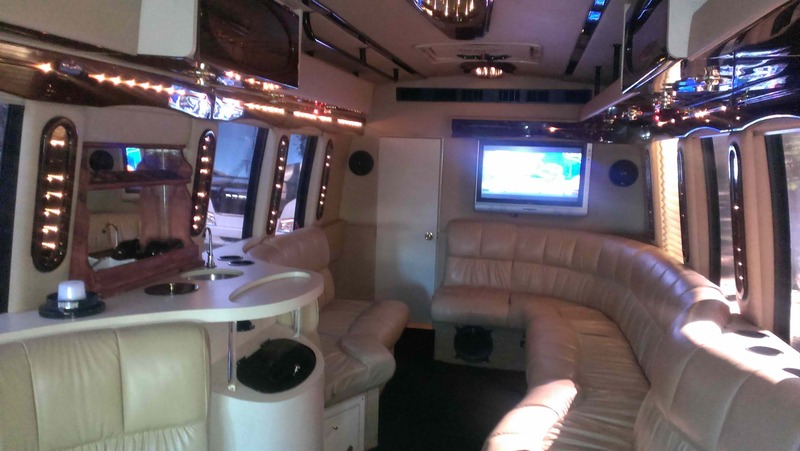 Our luxury mini bus features stereo, CD and DVD players, flat screen monitors and plenty of luggage space. 56 Passenger Prevost Motorcoaches with WiFi, restrooms, dvd, cd, footrest, armrest, headrest, kneeling coach, cold a/c, largest cargo bays in the industry, panoramic windows and monitors throughout the coach. 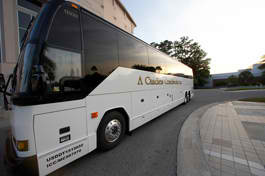 To visit our Motorcoach website click here.